If you’re looking to start a gym or find a new specialization for the one you have at present, then the appeal of martial arts and boxing has never been stronger. You might have a successful studio, a thriving membership, or be in the initial stages of a startup plan. I think the things achieved by the boxing trainers of the past can still inspire us all. The history of boxing in America is fascinating. In the late nineteenth century, boxing went from being an illegal, backstreet affair to an athletic profession. The brutality of bare-knuckle brawling gradually gave way to the sport we know today. During the twentieth century, boxing was instrumental in transforming attitudes about minorities, as immigrants and young men of color found success in the ring. Proof of strength and courage has always earned respect in athletics, and the spectacle of a title fight brings a frenzy of media attention. While it’s glamorous at the top, boxing hopefuls need only the most modest ingredients to get started. It’s the talent on the part of the boxer, as well as the ambition to succeed. With the odds so stacked against you when you’re a fighter, you really have to have the burning desire, the legendary Eye of the Tiger. The other side is the opportunity, not just to fight ultimately, but also to train daily and learn. Opportunity is where the gym and trainers come into the picture. The difference that matters most in boxing is the wisdom, experience, and leadership of a coach. A trainer with the knowledge and talent to bring out the best in a fighter is the ultimate ingredient in any champion’s career. 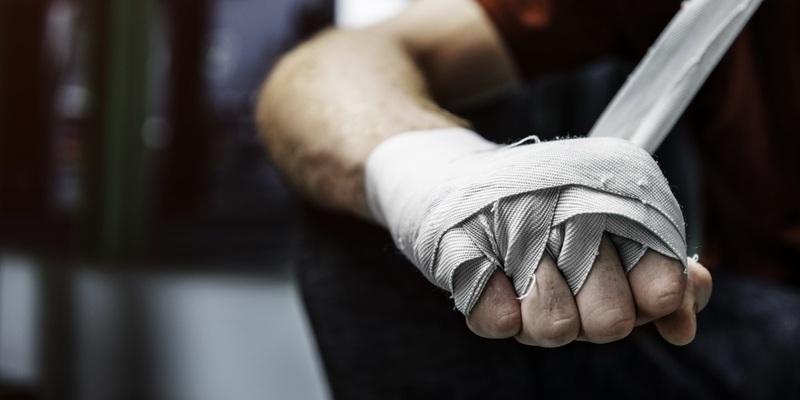 The physical resources that a boxing trainer needs include a space, some general workout equipment, and boxing equipment such as bags, and of course a ring. Other things that might not be apparent include commercial insurance and perhaps an assistant. You will have to find enough funding to lease or purchase an old industrial space. You can probably pick up the equipment second hand and sign a cheap lease in a backstreet building or industrial park. After that, it’s a matter of leveraging your network of contacts and trading on your reputation to bring enough people to you to justify setting up shop. Open the doors, install the minimum amount of equipment, and turning the lights on. Nowadays trainers include people who may never have been in the ring in their lives. A top training outfit will likely have nutritionists, physiotherapists, and a host of others. Arguably, in the twenty-first century, you want some digital publicity people too, such as a PR rep and social media manager. So, all that’s nice and everything, but the essential backstreet boxing gym is still a way for former boxers and veteran trainers to break into becoming a small gym business owner as well providing a positive influence for kids in the community. To train future champions, a training gym needs the funding to stay open and pay the rent. You can get this by recruiting casual club members who pay the monthly fee to attend the gym. It’s an excellent way to subsidize the operating costs. You can scout and vet candidates for the ring individually and entice them in with subsidized memberships and coaching. Boxing is still an excellent route to teach tough kids to stay out of trouble. This is a business that you can operate from a laptop or a digital tablet. Gym Insight offers the software to manage a gym operation and the membership. We also have the specialized point of sale equipment and system to manage monthly subscriptions. The gruff, old-school boxing coach, like Burgess Meredith’s role of Mickey in Rocky, might be tough to sell to the youth of today. Mickey was a fictional character and a great one at that. What you need to bring to the gym is your talent, knowledge, and experience. The point about boxing gyms is that, apart from the romance of pugilism, they exemplify the fundamentals of the gym business. Boxing trainers of the old school are fine examples of the principles and passion for owning a small gym business. It’s what makes it such a fantastic profession to participate in. Fagan, Lawrence. Reflecting for Belief And Clarity In Your Gym Business. August 9, 2018. https://blog.gyminsight.com/5104-reflecting-for-belief-and-clarity-in-your-gym-business/ (accessed October 16, 2018). Marin Theater Company. Boxing in America. https://www.marintheatre.org/productions/fetch-clay-make-man/fcmm-boxing (accessed October 16, 2018).